So, what were The Flumps exactly? I can only describe them as round, furry characters with short legs, each one wearing a different hat, apart from Posie who sometimes wore a bow. 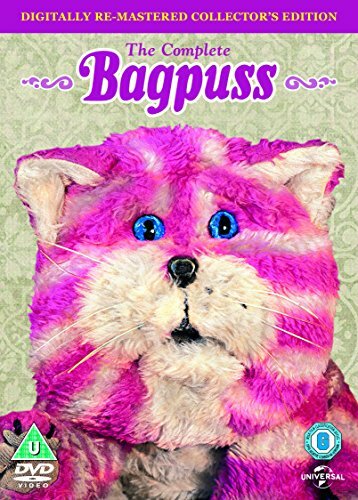 There were six Flump characters. 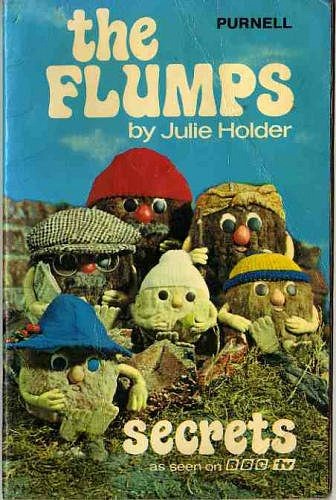 The three adults were Grandpa Flump who was the oldest and liked to play the flumpet, Father Flump who loved messing around in the garden and Mother Flump who spent a lot of time in the kitchen cooking. This was pretty much the stereotypical image of how families were portrayed to kids back in the 70s, with the wife never out of the kitchen and the husband keeping out of her way in the garden. The three child Flumps were Posie (female), Perking (male) and the youngest male, Pootle. 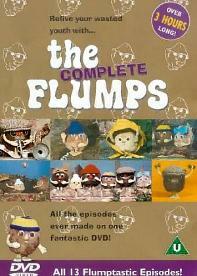 The Flumps stories were created and written by Julie Holder. The narration in the TV series was by Gay Holder (you can hear her in the video clip above), an English actress who began her long career playing Eliza Doolittle in My Fair Lady during a national 1965 tour. 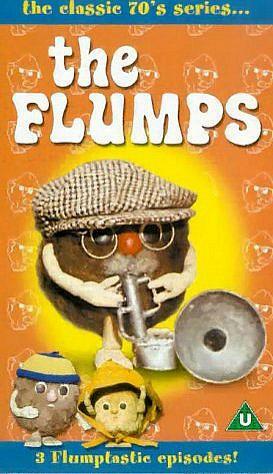 Although only one series of The Flumps was ever produced by David Yates in 1976, the children's TV show (which was clay animated) was often repeated during the late 70s and well into the 1980s. Disclosure:Simplyeighties.com is a participant in the Amazon Associates and Redbubble affiliate advertising programs. 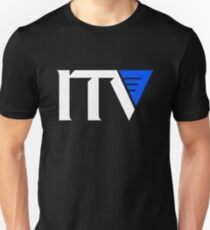 These enable us to earn fees by linking to products at amazon.co.uk and redbubble.com.